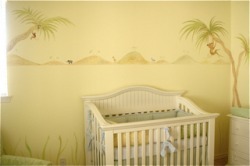 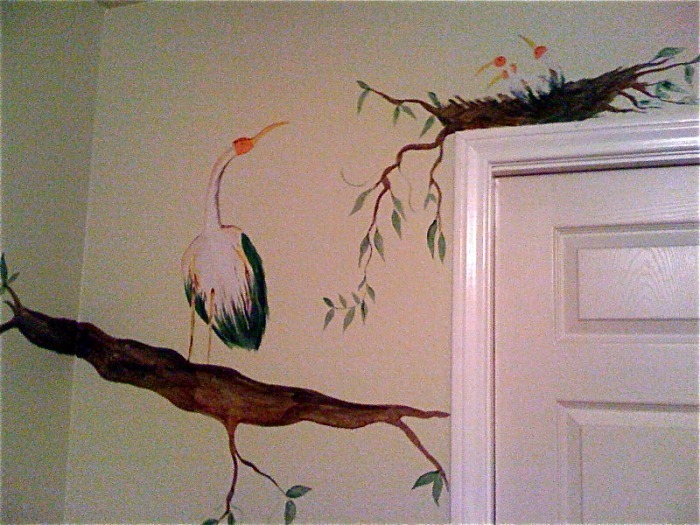 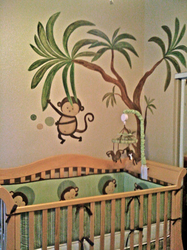 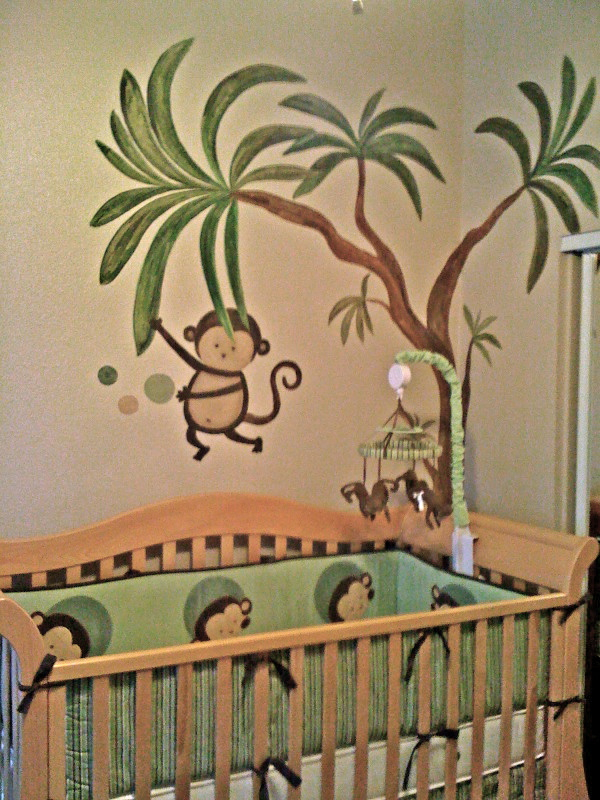 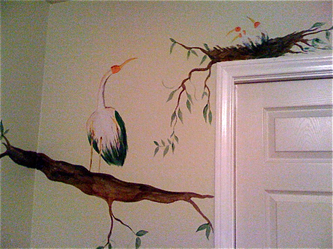 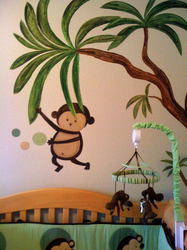 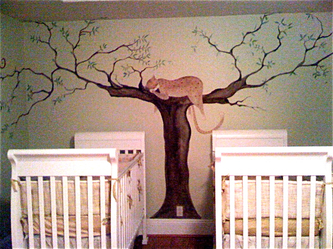 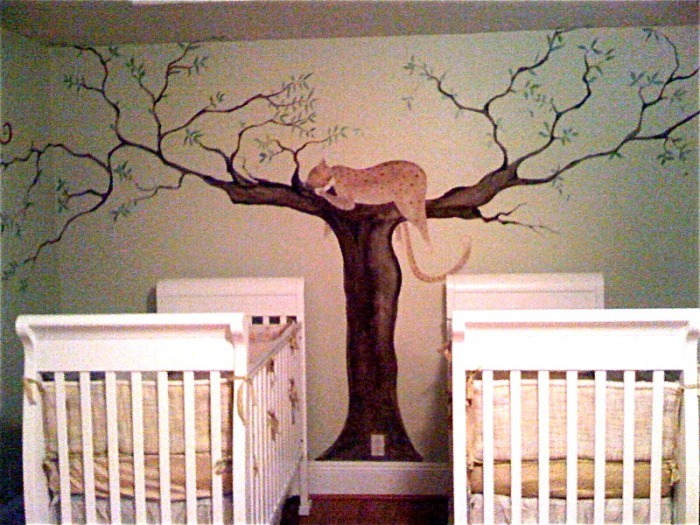 SAFARI themes can be painted realistically or like a cartoon. 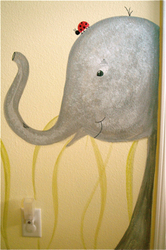 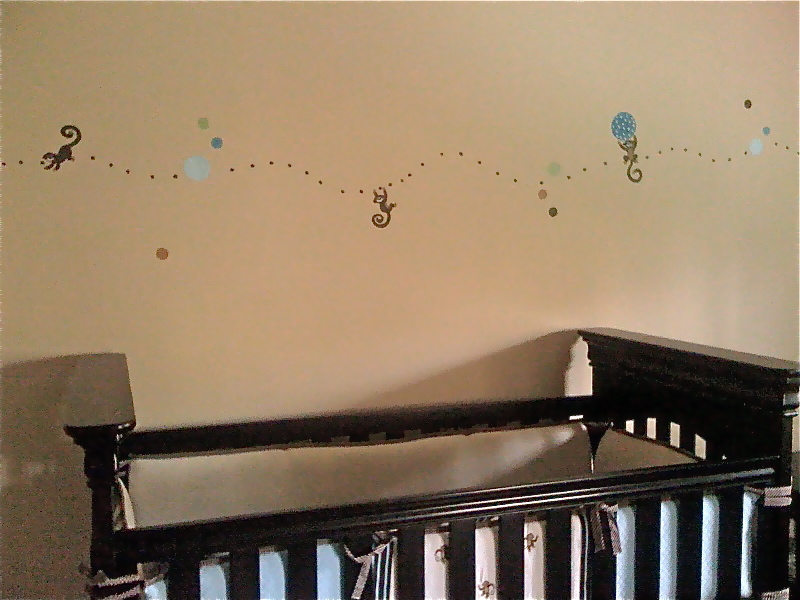 I like to use Non-toxic paints and choose natural smooth color tones. 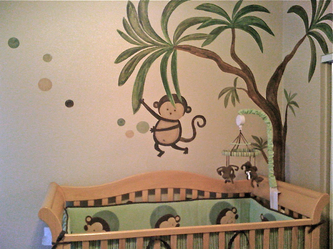 Pricing on Safari depend on details , how many animals , is there a background color , how many walls will be used, how big is the room etc. 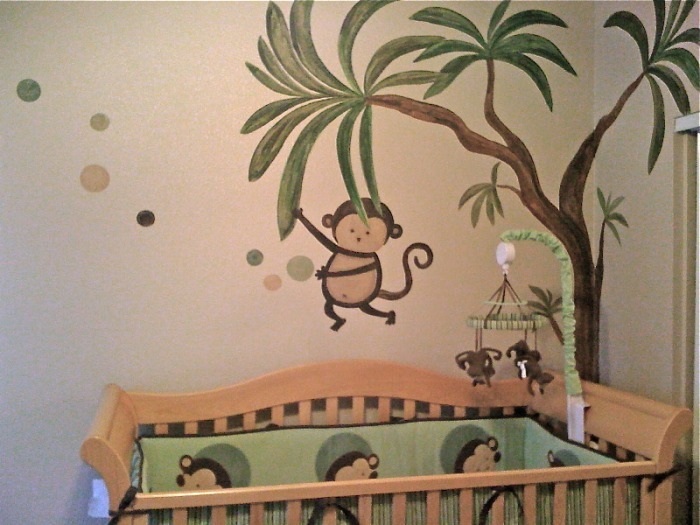 starting at $250 and up, with a free estimate. 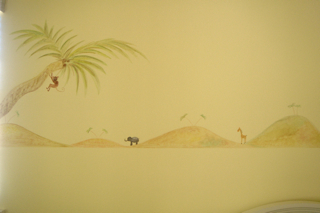 Here is another version of SAFARI, with smaller animals. 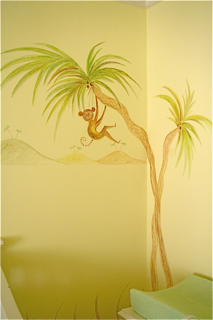 Monkeys swinging in palm trees with a line of mountains in background, dragon flies and butter flies etc. 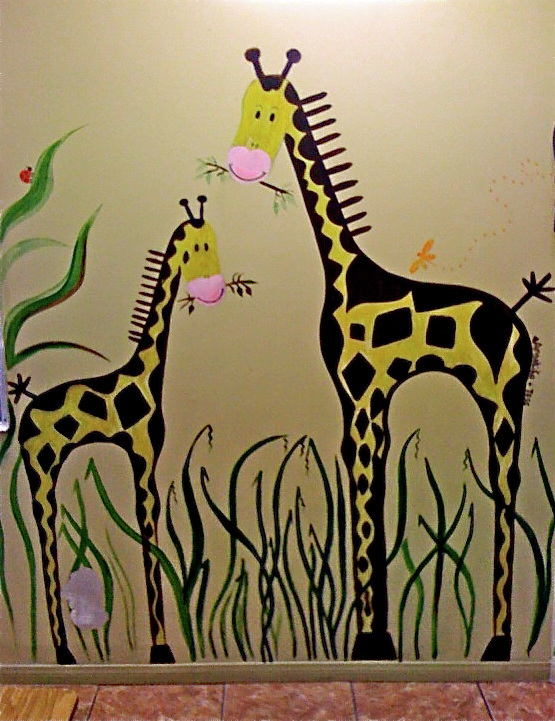 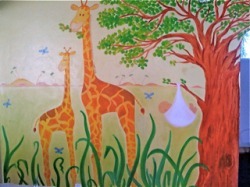 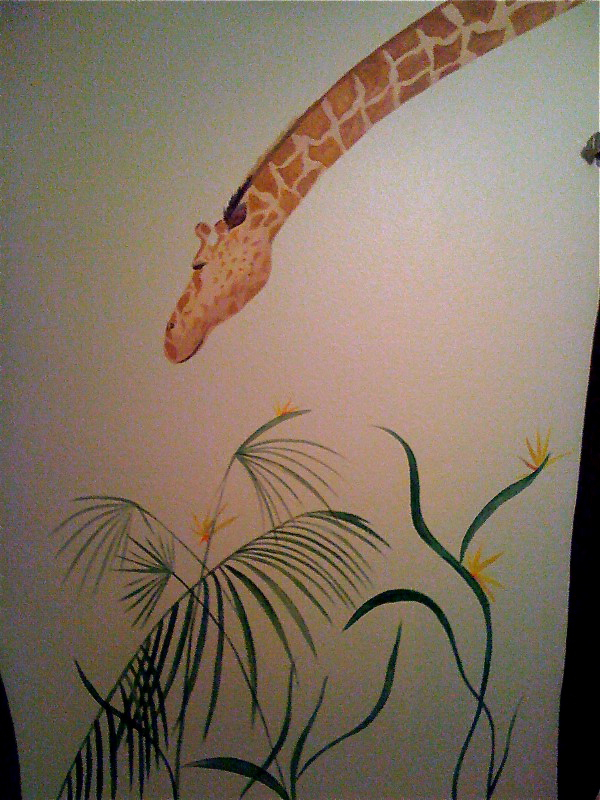 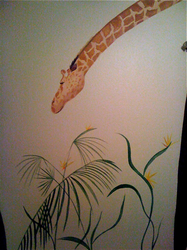 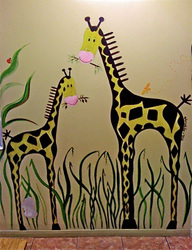 Large tree, plants, giraffe's , background..... great for a playroom, day care facility or preschool , bright and bold. 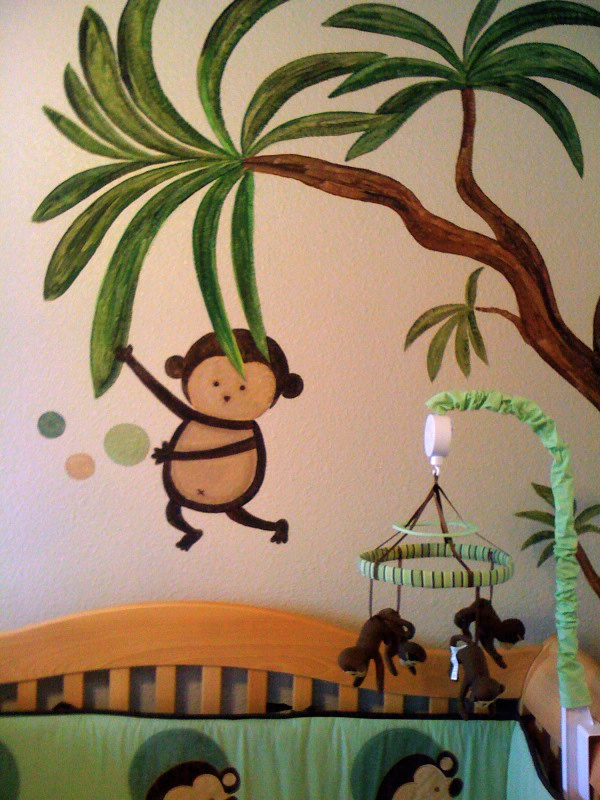 this mural has a bold modern touch to it.